This is the perfect gift for an animal lover! 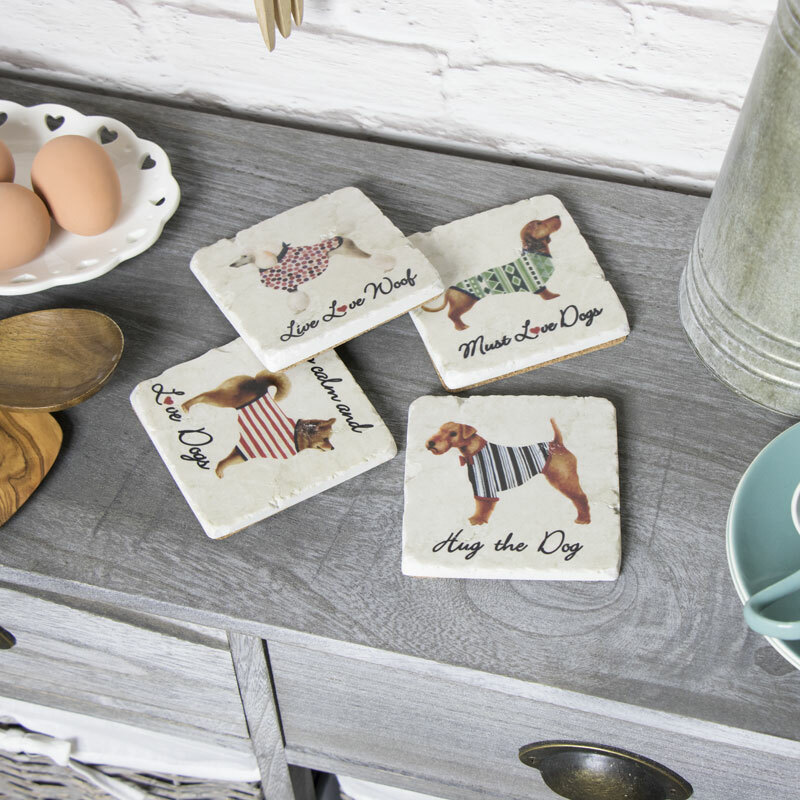 Our dog coasters will help to protect your side tables in the living room or dining room from those dreaded ring marks! A quirky addition to any home and a great house warming gift for a lover of mans best friend. 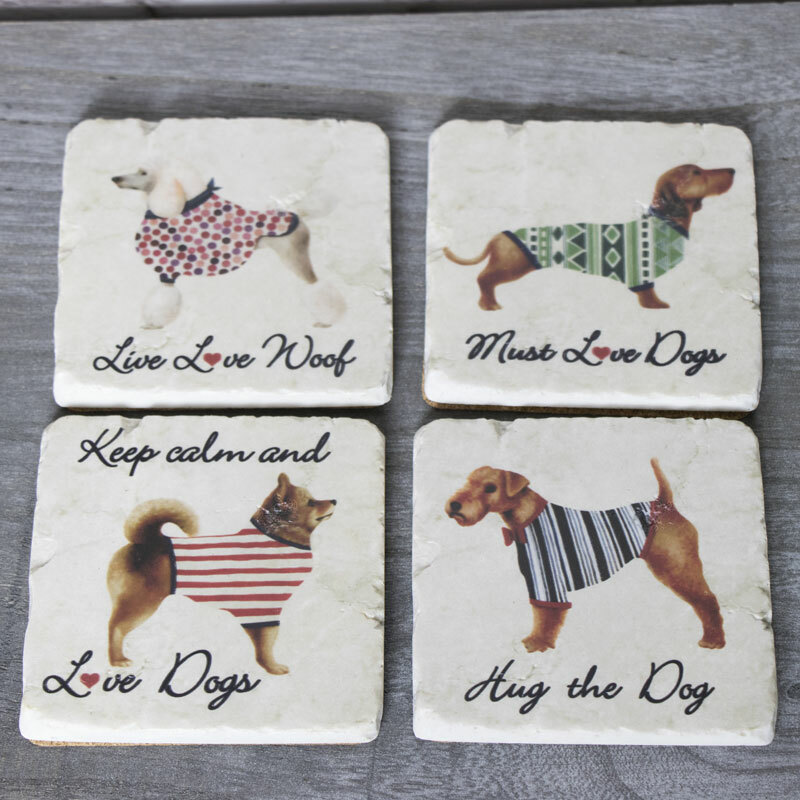 Each coaster has a different breed of dog each with its own cute quote. Cermic design with printed pictures, each coaster comes iwht a corked back. If you're looking for those finishing touches to your home or a gift for family and friends, our gifts and home accessories is just the place for you. We have a wonderful choice of those all important bits and bobs and accessories that will comeplete your decor.